This entry is part 2 of 9 in the series CheeseWeb Tastes Cheese. The Chèvrerie d’Ozo is an Alpine goat farm in the Belgian Ardennes, producing a variety of delicious cheeses. 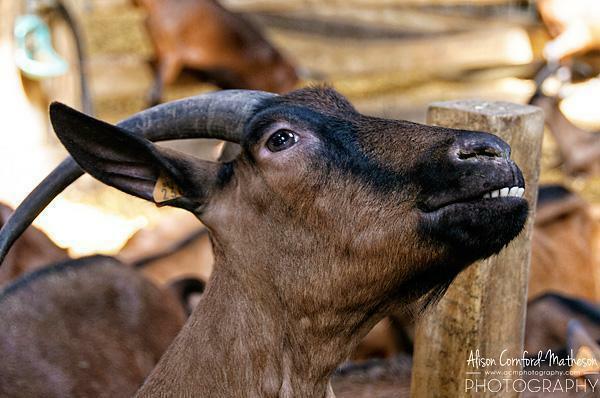 Visitors can meet the goats and learn about the cheese-making process. When people ask me the name of our website, the common response is “Oh, you write about cheese.” Well no, but I can see why they draw that particular conclusion. In fact, we’ve only written specifically about cheese once, and it wasn’t even cheese in Belgium. Today, dear readers, I shall rectify this problem, by including three of my favourite things in one post: cheese, Belgium and… goats! You probably didn’t know of my affinity for goats, but I just love the little guys. I also loooove the delicious cheese they produce. 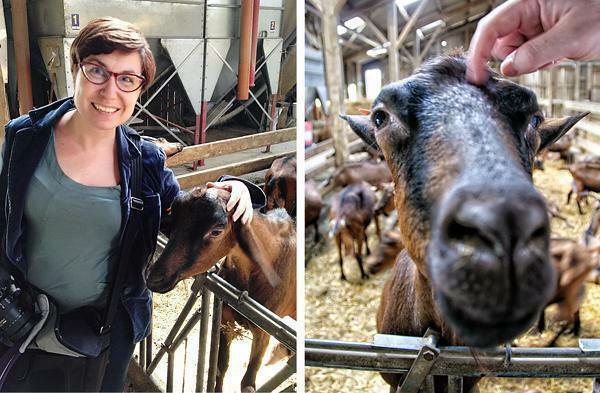 So when I learned of a goat farm, free to visit in Wallonia, I had to check it out. The Chèvrerie d’Ozo is located just outside the town of Durbuy (and we already know there are plenty of reasons to visit Durbuy!) and offers self-guided tours of the facilities, lodging and camping space, and, of course a cheese shop. 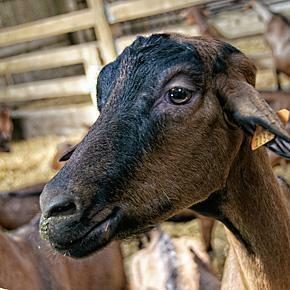 For more than 25 years, the Chèvrerie d’Ozo has been raising Alpine goats. This breed hails from the French Alps and is known for its great milking ability. Ozo has about 200 goats, mostly females, for obvious reasons. Only about 10 Billy-goats are needed to maintain the herd. In addition to being great milk goats, we discovered they were also very friendly and curious and were eager for a good head scratch. 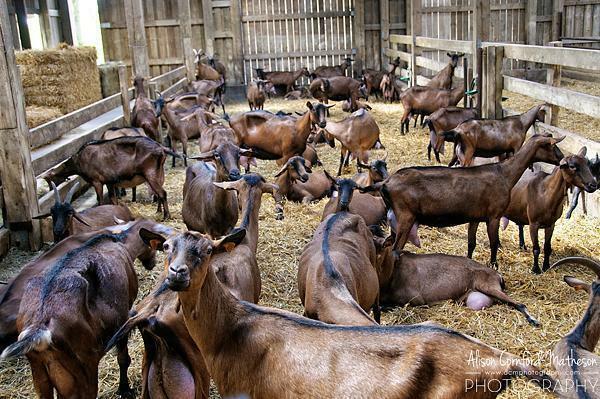 While at the goat farm, we were able to watch several different groups of goats come through the barn for milking. It was fascinating how quickly and easily it happened and even better to see these ladies looking happy and relaxed – how we believe farm animals should be. The are some seriously happy goats! The farm produces 20 types of goat cheese, both fresh and aged. The aged goat cheeses can keep for up to two years. The soft, fresh cheeses come plain or coated with a variety of herbs and spices: shallot, chives, pepper, nuts, rose, and more. I sampled a variety rolled in cracked peppercorns. The zing of the pepper paired perfectly with the light, creamy cheese and was perfect spread on a cracker. The Chèvrerie d’Ozo is a great place to visit with children or if you are animal lovers, like us. But you don’t have to go to Wallonia to enjoy the wonderful cheeses. Ozo goat cheese is available in good cheese shops around Belgium. We found it in Rob the Gourmet shop, recently. If you want to visit the on-site cheese shop (and hang out with the goats) it is open Tuesday to Saturday, 10 – 12.00 a.m. and 2 – 6 p.m. and every day during the school holidays.